LSU will host Texas A&M this weekend with first play in SEC West potentially hanging in the balance. The Aggies bring one of the league’s best pitching staffs to Baton Rouge. Conversely, the Tigers will be without arguably the biggest bat in their lineup. Left fielder Daniel Cabrera has been ruled out for this weekend’s series against Texas A&M, LSU coach Paul Mainieri announced Thursday. The hope is he could be ready to play next weekend when LSU travels to Missouri. Cabrera has been dealing with a right wrist injury since the winter, and his thumb is also now an issue after taking an awkward swing during the Mississippi State series last weekend. At that point the pain become unbearable and kept him from being able to hit. 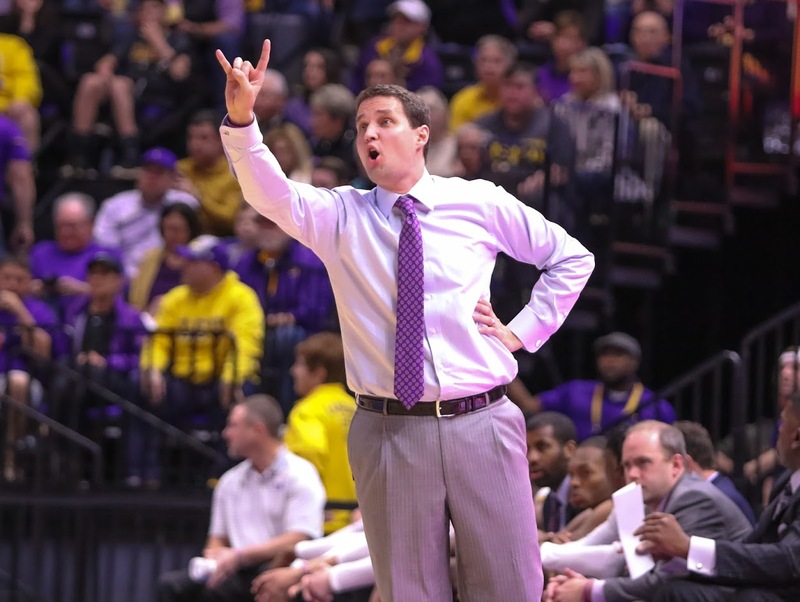 The sophomore underwent a minor procedure last Sunday in hopes of being ready for this weekend, but he’ll now have to undergo more aggressive treatment as the wrist/hand hasn’t healed as quickly as LSU would have liked. Freshman Giovanni DiGiacomo will continue to start in place of Cabrera in left field. DiGiacomo is hitting .303 with 10 RBI and 29 runs scored in 27 games (15 starts) this season, which earned him a share of the designated hitter job, but now defense has entered the equation. DiGiacomo certainly has the speed to be a plus defender in the outfield. He may well have ended up playing center field this season had Zach Watson and Antoine Duplantis signed professionally last summer. 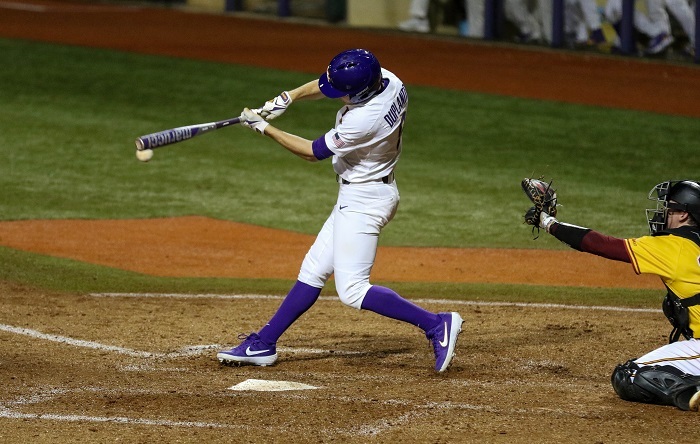 Still, LSU knows there still is something of a learning curve for the rookie in left field. LSU and Texas A&M will play a double header on Saturday due to inclement weather in Sunday’s forecast. The games will take place at 2 p.m. and 7 p.m., adding to an already busy day around Baton Rouge. Both games will be nine innings. 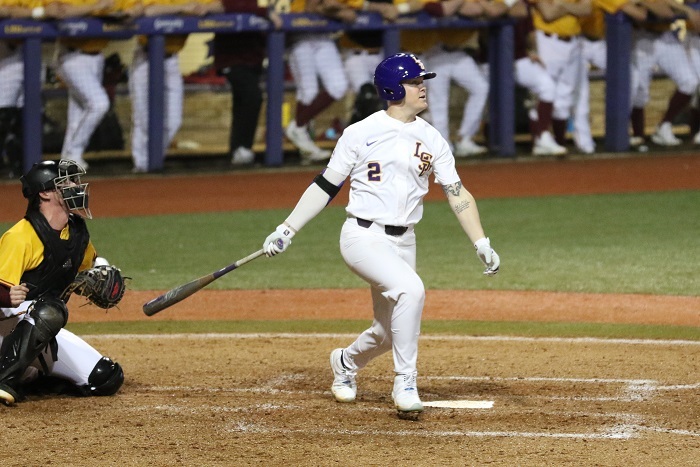 Both CJ Willis and Cade Beloso will be in the lineup this weekend with Cabrera out, but Mainieri hasn’t yet made a decision on which freshman will play first base and which will be the designated hitter. Beloso is the more experienced first baseman, having played the position throughout his high school career, but Willis is a taller target for infielders. The coach did say that Willis needed more work at the position defensively. 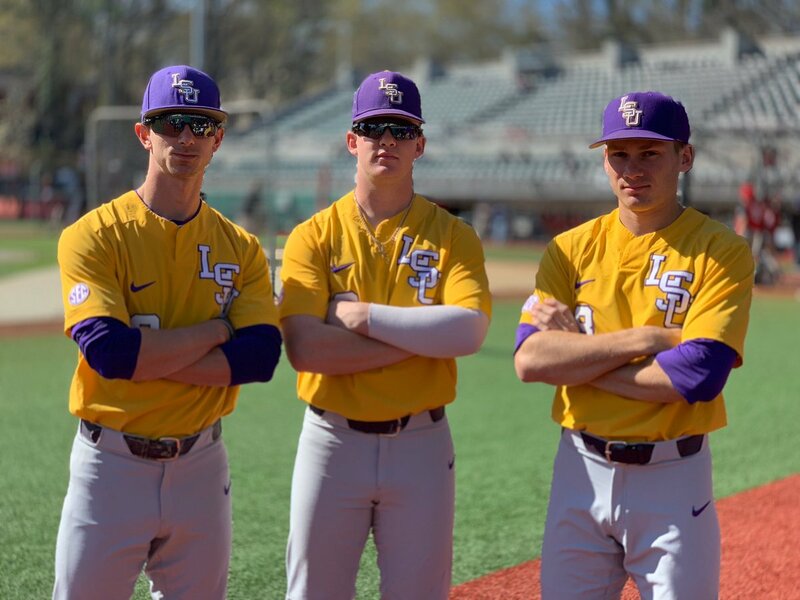 LSU will take things day-by-day at first base, so whoever starts on Friday night will not necessarily stay at the position throughout the weekend. One of LSU’s three ailing freshmen arms is progressing toward a potential return to action, though he won’t be able to pitch against Texas A&M. Landon Marceaux has thrown without incident on back-to-back days, Mainieri said, and the plan is for him to throw again on Thursday. If all goes well, he’ll throw a bullpen session this weekend with an eye toward returning to action next Tuesday night. James Moran was named Editor of Tiger Rag in August 2018. He previously served as the associate editor since 2014. He covers LSU football and baseball and is a graduate of the LSU Manship School of Journalism.